A press release issued by the RSPB on behalf of themselves, Cumbria Wildlife Trust, Denbighshire County Council, Durham County Council, Industry Nature Conservation Association (INCA), Lincolnshire Wildlife Trust, National Trust, Natural England, Northumberland County Council/Northumberland Coast AONB and Spurn Bird Observatory Trust. The UK’s second rarest breeding seabird, the little tern, benefits from nest site protection at vulnerable beach sites. Nearly 3000 chicks have fledged over five years as a result of conservation. Further funding now needed to build on the back of current success and give species a long-term future. The UK’s second rarest breeding seabird has been given a helping hand by a five-year project to protect them at coastal sites where they nest on beaches. 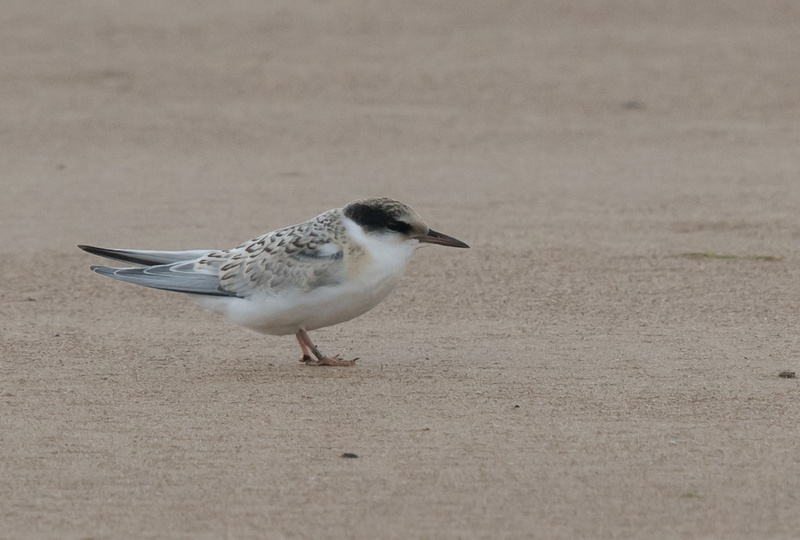 The project funded by EU LIFE has resulted in almost three thousand little tern chicks successfully fledging at 26 sites around the UK over the past five years as well as identifying the main risks to the tern population and ways these could be reduced. The little tern – one of our rarest and smallest breeding seabirds – nests on open sand and shingle beaches around our coasts between May and August each year. Their numbers have declined by almost a fifth since 2000 due to reduced breeding success and to the many threats they are exposed to on our beaches. 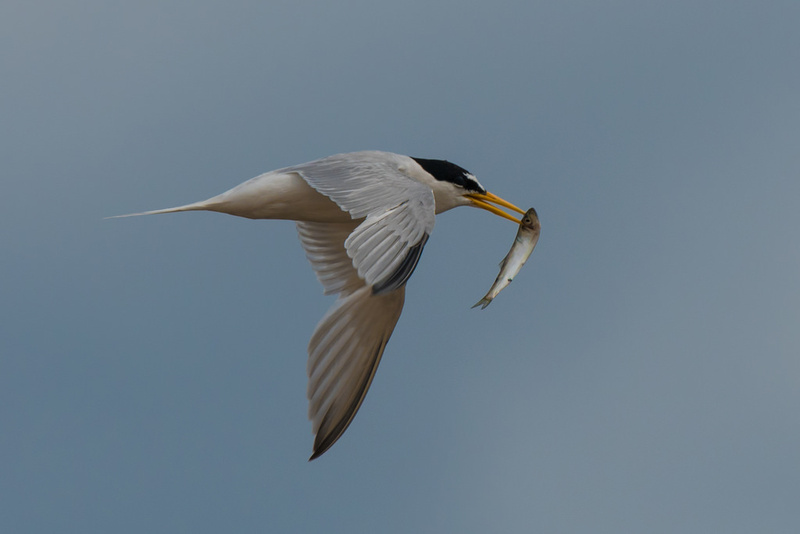 In 2013, ten partner organisations began working together nationally and regionally, with 50% funding from the EU LIFE Nature funding programme, to identify the reasons for little tern declines and to implement trial solutions with the aim of beginning to turnaround the fortunes of the species. Threats to the nesting terns were found to include recreational disturbance, the impact of predators, a lack of suitable food in the sea near nesting sites and extreme weather conditions linked to climate change, causing tidal flooding. The project also looked at how best to tackle these issues, including ensuring that enough key sites for the terns are legally protected and ways in which the nesting sites can be protected from disturbance. The success of the project would not have been possible without over 250 local volunteers who were recruited to carry out the conservation work necessary and champion the cause of the little tern. Iain Robson, from the Northumberland Coast Area of Outstanding Natural Beauty said, ‘This project success has been down to working together with local communities, beach users, the project partners and other organisations to ensure this little seabird will remain a summer inhabitant along our shores.’. Conservationists will now set up a UK Steering Group to continue the little tern conservation work and build on the impact of the LIFE Project successes. Susan Rendell-Read, the EU LIFE little tern project manager said, ‘We achieved what we set out to do laying the foundations for long-term recovery but the future for little terns is by no means secure. Further funding is urgently needed to build on the lessons learned over the past five years and to make sure that our coasts remain a welcoming place for this wonderful seabird.’. Martin Harper, the RSPB’s Director of Global Conservation said, ‘Without a replacement for the EU LIFE fund, and a significant increase in funding for nature conservation across the UK, large-scale biodiversity projects will struggle to be funded, and the goals of the Westminster government’s 25-Year Environment Plan for England and the devolved governments’ ambitions for nature’s recovery in Scotland, Wales and Northern Ireland will be unachievable.‘.